We know you’ve come to see us because you have an issue, goal or something that you need help with. What is your issue? How did it occur? What can be done to help it? How long will it take to get better? What can I do to prevent it happening again? These are all things we can help you with and will look to provide you with in your 45 minute initial consultation to ensure you feel informed, understood and satisfied. A comprehensive discussion to ensure we get an accurate diagnosis and find the root cause of your problem, whilst identifying what lifestyle modifications need to be made to get the best results. On the spot management plan for you to take home which outlines a diagnosis, main findings from the assessment, things you should avoid or alter, things that will help you, short and long term goals and the recommended treatment plan for getting back to 100% in the shortest time frame possible. A genuine care and interest in your issue or goal, with an outcome based approach to get you there. Commencement of a home exercise program to ensure your journey to 100% starts today. 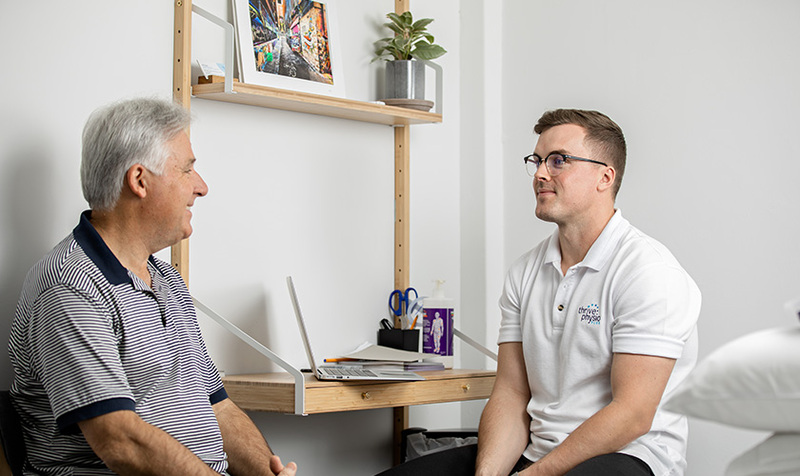 If you want to know how we can reduce your pain and reach your physical best, book a time online or call the clinic on 8490 0777 to start your journey today. Alternatively, fill out the enquiry form below and we’ll get one of our experienced Physiotherapists to give you a call.